Hi my name is Mark Caveney and I am a self-confessed Zumbaholic!!! Want to know what I mean? It's simple come along to my class and find out what all the fuss is about. I can guarantee you one thing and that is "fun" whether you can dance or not and no matter how fit you are Zumba is for everyone. So are you ready to party yourself into shape? That's exactly what the Zumba program is all about. It's an exhilarating, effective, easy-to-follow, Latin-inspired, calorie-burning dance fitness-party that's moving millions of people toward joy and health. My classes are held at St Mary's Church Hall (Entrance from Newton Street, Paisley, every Monday evening from 6-7pm. Sorry, but we have no upcoming events for Zumba with Mark. 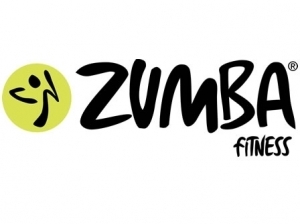 If you know of an event taking place at Zumba with Mark or anywhere else in Renfrewshire tell us about it and we'll list it on the website, for free!